Question/Topic: How to setup Task List? Task List allows you to access quickly some features of the program with one button click. 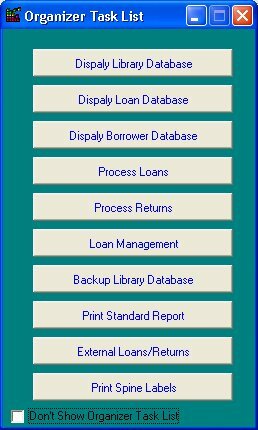 Some database solutions (Library Pro Solutions) come with predefined task lists (Print Spine Labels, Loan Book, Backup Main Database). Task List (window) is predefined in the following file: task.ini. Where task.ini file is stored? 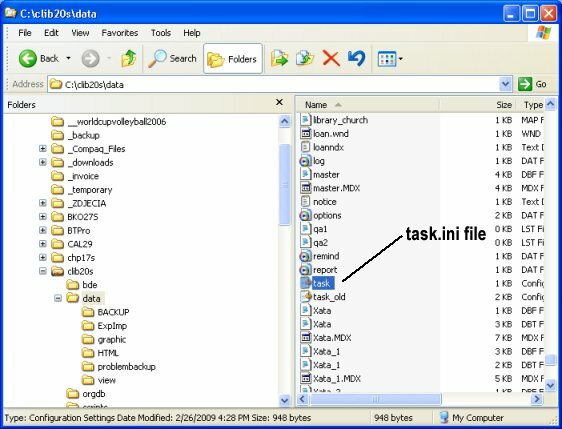 What is the format of the task.ini file? 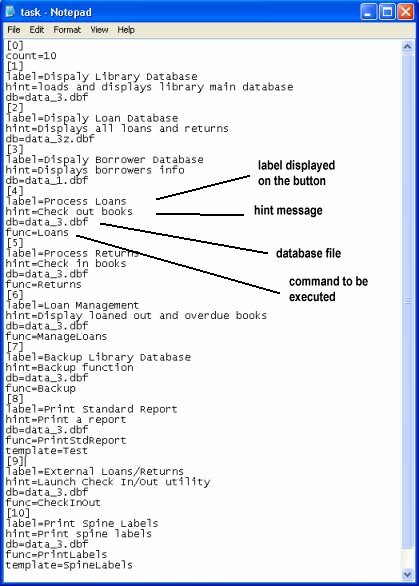 Sample task.ini file from the Library solution. 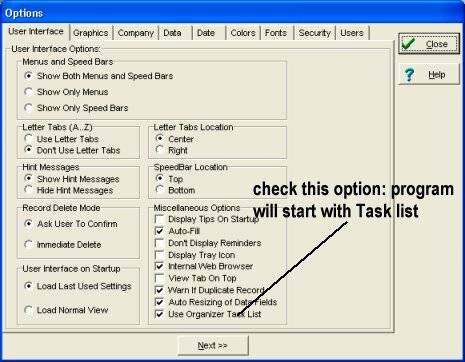 How to set/display Task List option? How to define task list file? How to check if I have multiple copies of Organizer Deluxe or Pro installed?